Why Wat Phra That Doi Kham is special ? Wat Pra That Doi Kham is situated in Tambon Mae Hia, Amphoe Mueang. 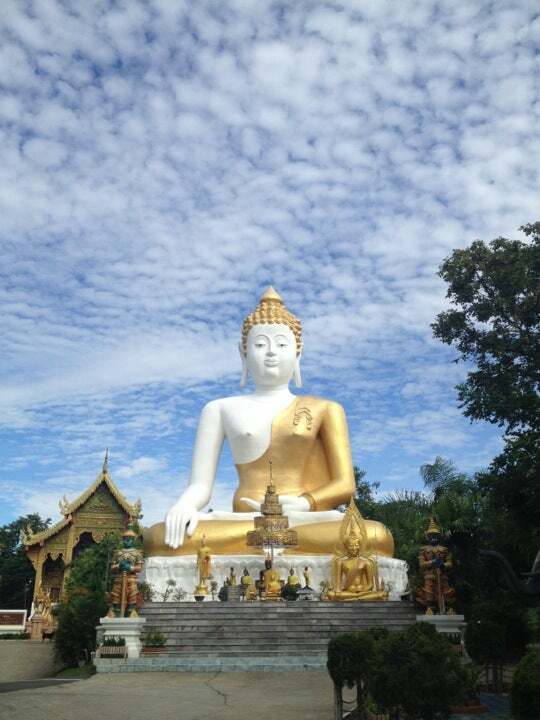 It is a beautiful temple situated on a lush mountainside near Chiang Mai Town. ‘Wat Phra That’ refers to the fact that this temple houses relics of the Buddha, and ‘Doi Kham’ means ‘Golden Mountain’. The sacred temple was built more than 1300 years ago, in 687 A.D. It had been abandoned, but in 1966 villagers discovered a hidden chamber containing many ancient Buddha images of various sizes, and this find prompted a revitalization. 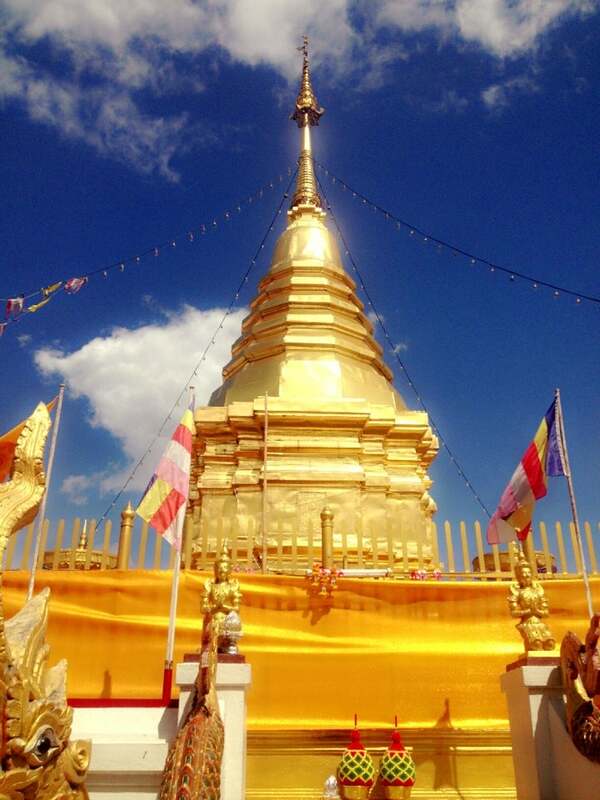 What to explore at Wat Phra That Doi Kham? 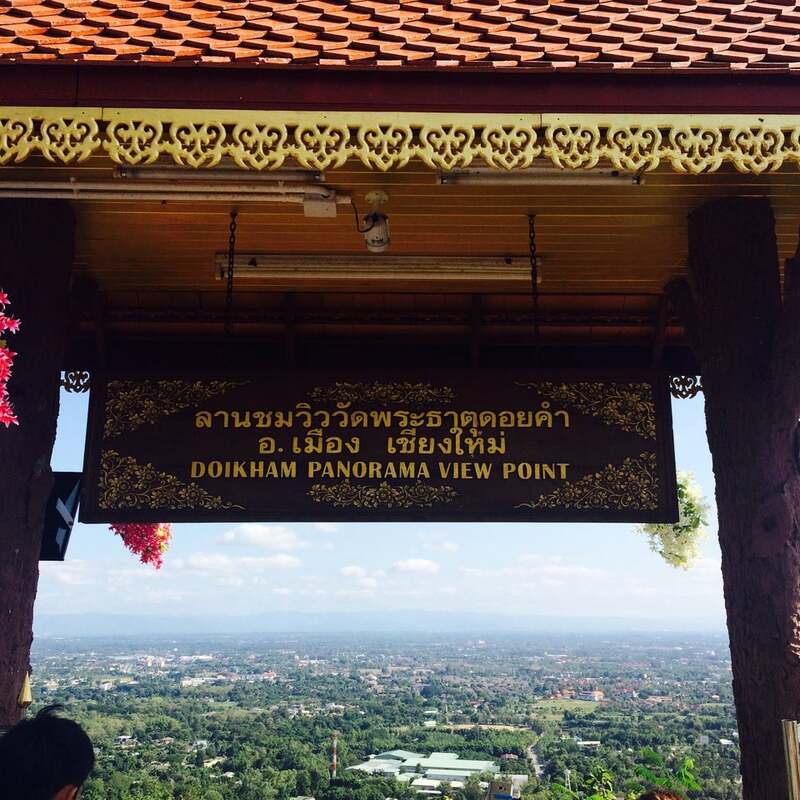 How to get to Wat Phra That Doi Kham? The Wat Phra That Doi Kham temple is located on top of a mountain South West of Chiang Mai city in Mae Hia sub district almost 10 kilometers from the town center. It is just North of Royal Park Ratchaphruek. The easiest way to get there is to hire a taxi. Most hotels in Chiang Mai can book one for you. Because of its location away from the city it might not be easy to find a taxi at the temple for the way back, therefore a round trip booking would be convenient. Agree on the price before setting off. Make sure you cover up as it is a religious place of huge respect for this country and culture. Pray to "Luang Por Tan Jai". You need to speak only one wish you really want, your Name and Surname, how many jasmine garlands you will worship him after your wish become true. There are shuttles from the zoo to the temple that are about 40 Baht each way and 30 Baht to enter the temple. From the viewpoints you will have great views of the surrounding area including nearby Royal Park Ratchaphruek. You can also see the monks doing their morning begging on the road up to the temple in morning. Taking the stairs at your own pace is fantastic. Especially in the morning for a bit of exercise to watch the sun rise.